Sailing Instructions, Notice of Race, and other information are posted on Jibeset. This is an annual event that is run by the Sequoia Yacht Club, The Club at Westpoint and the Treasure Island Yacht Club. It is part of the YRA Weekend Regatta Series. 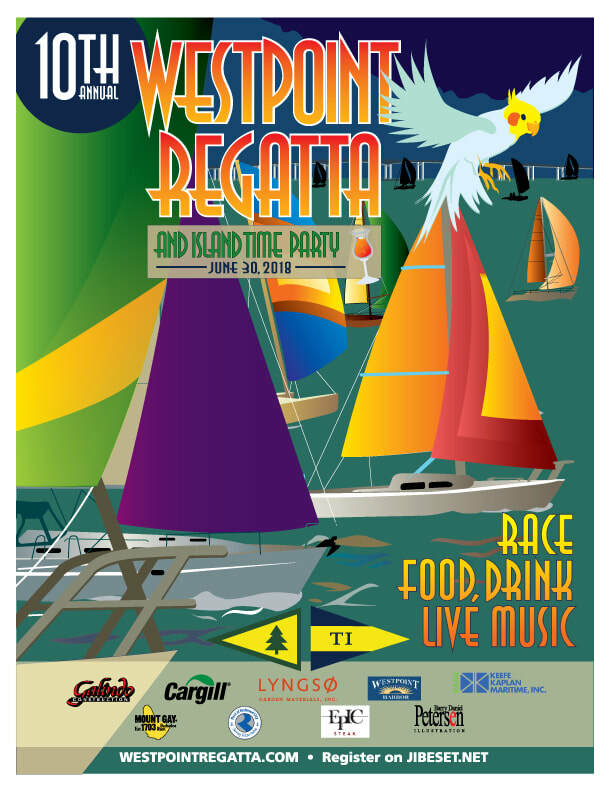 History of the Westpoint Regatta was started in 2009 by Westpoint Harbor and the Sequoia Yacht Club of Redwood City to bring recognition to recreational boating in the South San Francisco Bay. As one of four deep-water ports in the greater Bay area, Redwood City has a rich maritime history going back more than a century, and in Northern California, San Mateo County is the second largest home to recreational boats with 16,000 sail and power boats in total. Treasure Island Yacht Club joined the organizing group and provides a base for the pre-race and race-start activities. Today the race is both fun and challenging and attracts sailors from all around the Bay Area. This year we expect to see 100 boats and over 250 sailors out on the water. It is a spectacular sight seeing all the boats coming down the Bay. This year Westpoint Harbor has handed over its part in the race to the newly formed The Club at Westpoint making it the third club to join in this amazing race.